At IntelliTrac we listen, we are proactive and we care, because our business is built on achieving results, productivity and efficiency improvements for your business. 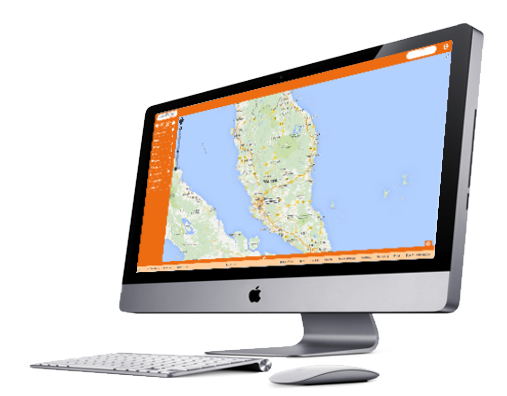 Join the thousands of organisations which have improved their peace of mind, customer service, efficiency, productivity and accountability with our outstanding and comprehensive GPS Tracking System. "Everyday we listen to our client's suggestions. We add more software features, better reporting, better maps and we are always leading the way with in vehicle GPS Telematics Technology. We just keep getting better"
There is no need to look any further for a GPS Tracking and Telematics Solution for your organisation. GPS Street Sweeper Monitoring, Job Dispatch and Messaging Location based technology with combined with Telstra NextG Communications ensures reliable live location and Street Sweeper monitoring in most major cities, highways and towns. Combining 4 input monitoring such as SOS and 4 output control as well as video recording, image capturing, 2 way messaging and navigation. Truly a great system which is better than most other top of the range devices. IntelliTrac MyCarsNextG GPS Street Sweeper Monitoring Satellite tracking devices offer the following standard features. IntelliTrac MyCarsNextG GPS Street Sweeper GPS Satellite tracking devices offer the following advanced features. No loss of data. Automatic Store & Forward 100,000 position memory when outside Telstra coverage. Notification when power management mode is entered. Addition of Mobile Data Terminal maintenance logging eg: Pot Hole, Street Light Out etc. Speed Alerts Yes - All MyCarsGen2 features, plus 2nd alert available based on input status. Example "When street sweeper operational, set speed alert to 15kph"
Variable Tracking Interval Yes - Example "When street sweeper operational, set tracking interval to 15 metres"
Specifications subject to change and improvement without notice. Please consult your representitive to confirm availability and compatability of all options.